Cook your fruits and vegetables. In the raw state, fruits and veggies are packed with insoluble fiber, which can be agitating if you tend towards IBS-D (but you may need it if you have IBS-C). If raw fruits and vegetables give you problems, you can cook them to make them behave better in your gut. If you favor the flavor of a Raw food diet but can’t handle its digestion, you can puree your foods in a high-speed blender. This process breaks down cell walls and reduces the load of insoluble fiber, making foods more digestible. 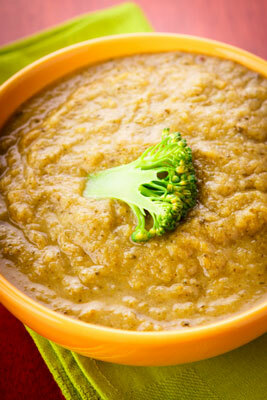 Many people report that eating puréed food does help them get some nutrition while going through a bad patch of IBS. 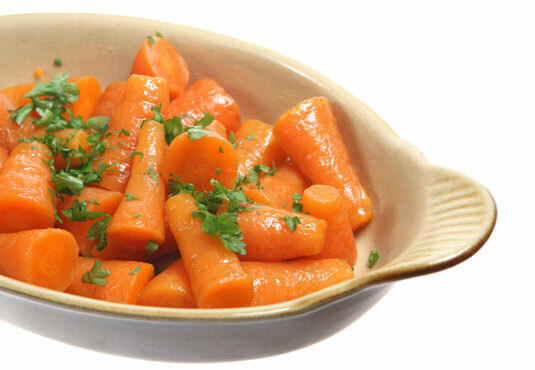 If you do puree your food, make sure that you just eat a teaspoon or so at a time and hold the food in your mouth for a few seconds to let your saliva start the digestion process. 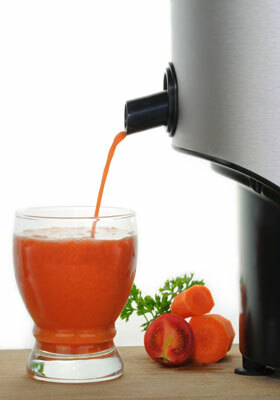 Juice your fruits and vegetables. If you want to take insoluble fiber completely out of the fruit and veggie equation, try juicing, which leaves the nourishment but gets rid of all the fiber and especially the insoluble fiber that may set off your intestines. You can turn your juice into a healing drink by adding peppermint leaves, ginger, or fennel to help support your gastrointestinal system. Have a side of soluble fiber. Whether you’re eating out or eating in, you can make a questionable main dish more IBS-friendly if you have a side of soluble fiber handy. 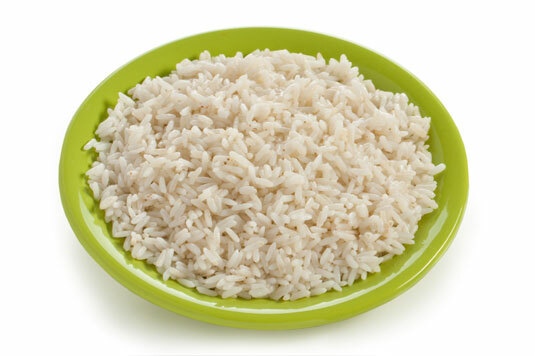 Rice is one of your best soluble side choices, especially in a restaurant, and cooked or steamed rice is great to keep in your fridge all the time. Applesauce and bananas are other good sources of soluble fiber. Consider the Fit for Life strategy. In 1985, Harvey and Marilyn Diamond wrote Fit for Life (Warner Books, Inc.), which was based on the premise that you shouldn’t mix certain food groups. 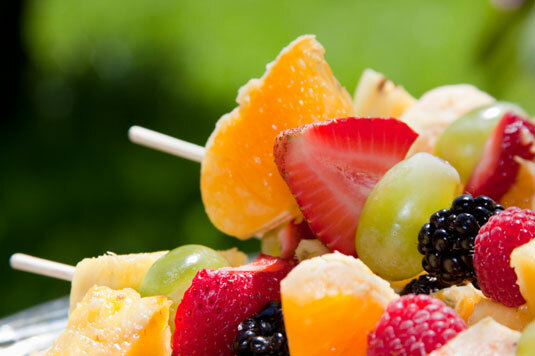 It suggested that combining foods like protein with foods like fruit causes incomplete digestion of both because protein requires more acidic gastric juices than fruit does. By paying attention to what foods you eat together, you may take some of the pressure off your digestive juices. If nothing else, it may be a way to give your digestive system a break from its usual way of dealing with food. Eat carbs and proteins separately. Never drink water with meals. Change up your drink routine. The best way to make your drinks IBS-friendly is to make sure they don’t contain alcohol, caffeine, or carbonation. Caffeine can annoy your colon if you have IBS-D; carbonation is gas, and you don’t want more gas in an already gassy stomach. Alcohol is a laxative and feeds intestinal organisms. So what do you drink instead? You can make safe and soothing teas from chamomile, peppermint, ginger, and fennel. 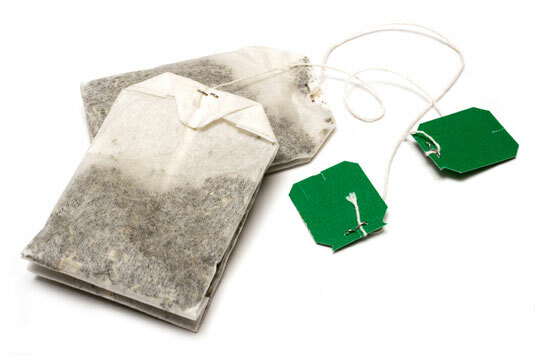 Brew the tea and leave it to cool before keeping it covered in the fridge for a delicious summer treat. 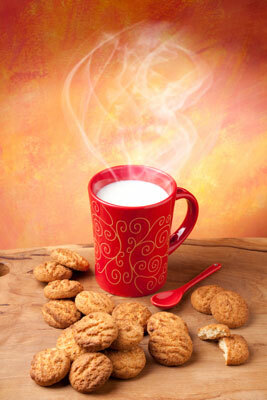 Sweeten it with stevia, and you have a sweet, friendly, and soothing beverage. Watch fatty meats (and grill, don’t fry). Greasy burgers and fried chicken slow down your digestive system for hours and cause IBS cramping and abdominal pain. If you eat animal protein, go lean. If you can, talk to your neighborhood butcher about the cuts of meat that are leanest; you can typically get extra-lean ground beef. If chicken is your thing, try grilled chicken breast rather than fried chicken wings. When grilling, keep the fire to a minimum; burned meat may be kind of tasty, but the charcoal is hard to digest. 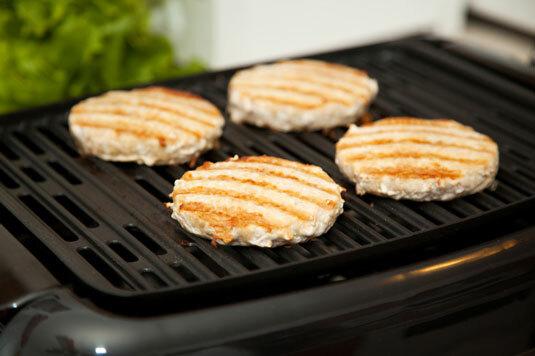 Try the indoor countertop grills that drain the fat from your food while you’re cooking. You can grill vegetables and meat at the same time and have a full tasty meal while using just one appliance. If you have difficulty digesting lactose, you can try lactose-free dairy products or lactase enzyme pills that aid in dairy digestion. You can also try warming your milk, which makes it more digestible than cold milk and less likely to cause constipation, or go for organic milk and non-homogenized milk, which are also easier to digest. You may remember a time when you had an enormous Thanksgiving dinner and your stomach and intestines felt like a cyclone had hit them. Many people who don’t have and have never heard of IBS have had those symptoms just because they ate a meal the size of a small car. IBS-friendly foods come in small portions; you may even get away with something that you don’t think is good for your IBS if you only eat a little bit. 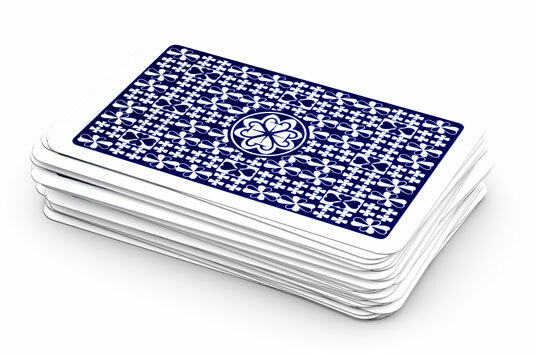 A good guideline is that your meat serving should be about the size of a deck of cards (and not one of those giant novelty decks, either); many single servings by today’s standards can easily feed three people. Monitoring your thoughts is a powerful exercise for people who have IBS. You may have a column in your food diary to keep track of what you’re thinking when you’re eating so you can easily see the correlation between your thoughts and your IBS symptoms. When you’re thinking negative thoughts as you eat something, you’re associating that thought with the food. So when you reach for a food that you’re concerned may be a trigger for your IBS, stop for a moment and consider how often your thoughts take you in a negative direction. 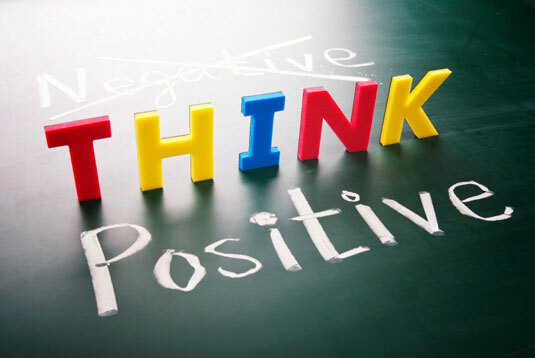 Try to practice thinking positive thoughts about food.